Earlier today, it was confirmed that Anthony Joshua (17-0, 17KO) won’t yet be fighting at the Principality Stadium. 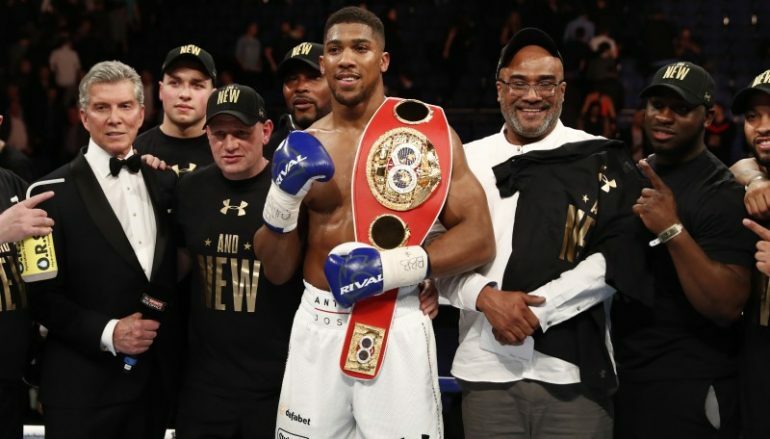 This week, there were preliminary plans made public that the IBF world heavyweight belt-holder could fight in Cardiff on Saturday 3 December but the hope of hosting Joshua have been dashed just two days later. 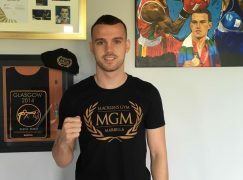 The 26-year-old will instead fight at the Manchester Arena on Saturday 26 November against a soon to be confirmed opponent. Undefeated Joshua is likely to face Bulgaria’s European belt holder Kubrat Pulev, though America’s Eric Molina and New Zealand’s Joseph Parker also remain possibilities. The main advantage of the Cardiff location is its retractable roof, which can turn the stadium in to one of the world’s largest indoor arenas with a 74,000 seating capacity. One reason why the Principality Stadium may not have been selected is that it’s booked up in November. The Welsh national rugby team will occupy the pitch in every weekend of the month as they host an Autumn international series. An Anthony Joshua fight in the Principality Stadium remains a possibility in the future and it would be the biggest boxing event in Wales since more than 50,000 fans attended the same venue, then known as the Millennium Stadium, in 2008. On that occasion, Newbridge legend Joe Calzaghe unified all four of the super-middleweight world titles with a hard-fought win over Danish great Mikkel Kessler. 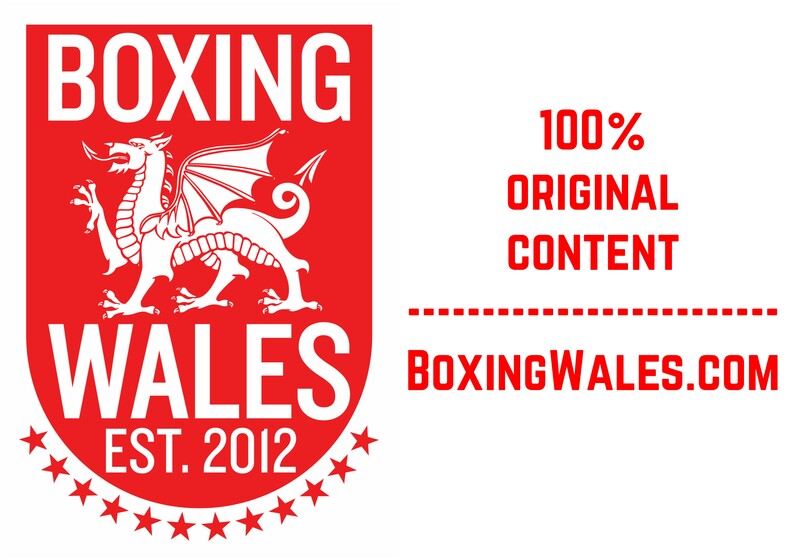 There hasn’t been a world heavyweight title fight on Welsh soil since Lennox Lewis stopped Frank Bruno in seven rounds to defend his WBC belt at the Arms Park. Joshua has fought in Cardiff before though, halting Aberdare’s Dorian Darch in less than two rounds at the Motorpoint Arena in 2014. 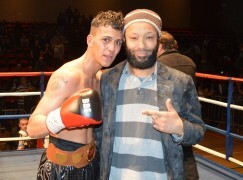 The 2012 Olympic Games gold medalist has skyrocketed since and he now stands as one of the most popular boxers in the world, crossing over to the casual sports fan market. 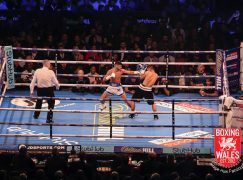 That support has seen Joshua establish himself as a regular fixture on Sky Sports Box Office, where audiences have to pay more to watch his fights – which they have been very willing to do. In further turbulent news for Welsh boxing, Matchroom Sport’s Eddie Hearn, Joshua’s promoter, seems to be nearing the end of his relationship with Wales’ 12th ever world champion ‘Sugar’ Lee Selby (23-1, 8KO). 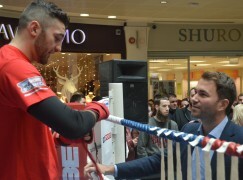 In the latest edition of the Boxing News magazine, Hearn confirmed that there’s just one fight left on their contract and he’s disappointed in events since Selby won the IBF world featherweight title and signed with American advisor Al Haymon. 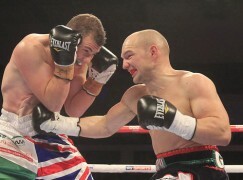 Barry Town’s Selby hasn’t fought since making a mandatory defence of his belt against Erick Hunter in April [W12 UD]. Hearn didn’t even enter purse bids for the contest and since then, the two parties have also been unable to agree a voluntary against domestic rival Josh Warrington, who Hearn also promotes.